We asked for the Rosé. 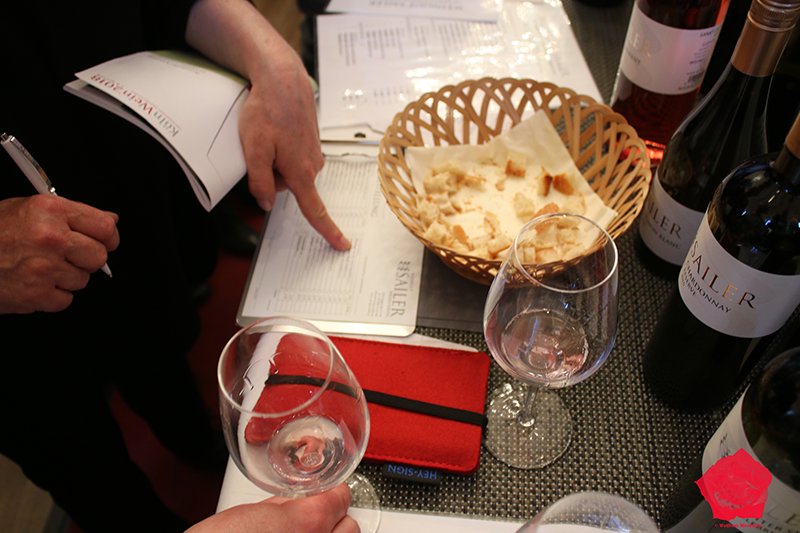 And we were very delighted to taste those nice wines. 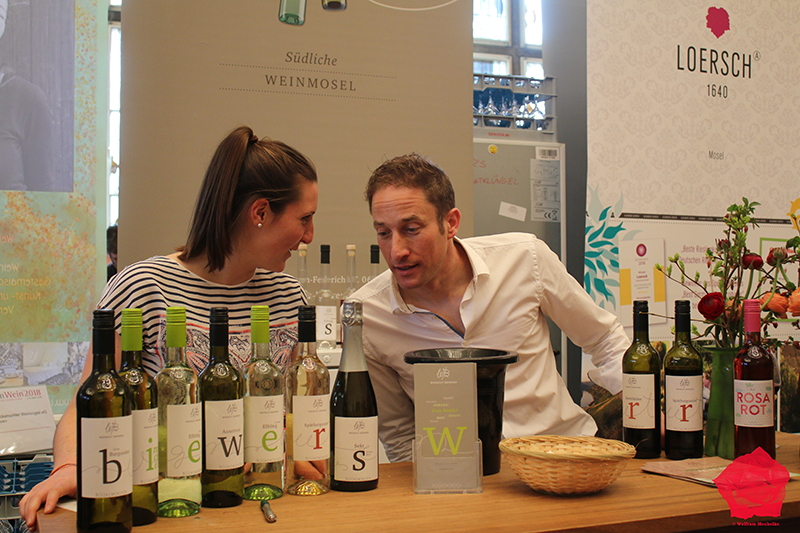 The Köln Wein is gastronomic consumer fair with a large display of German Wines from the major regions. And you can taste as well wine from Austria, Bulgaria, Chile, France, Portugal, South Africa, Spain, Turkey. 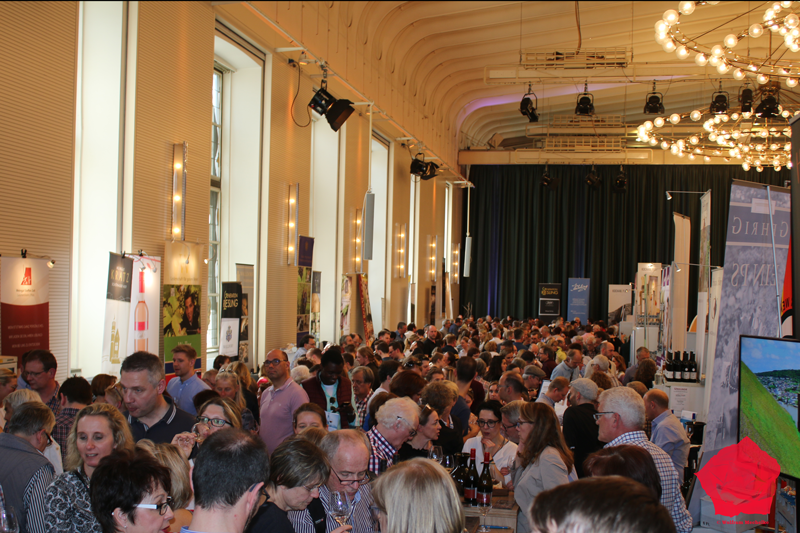 More than 170 Exibitors show their wines predominantly from 2017. 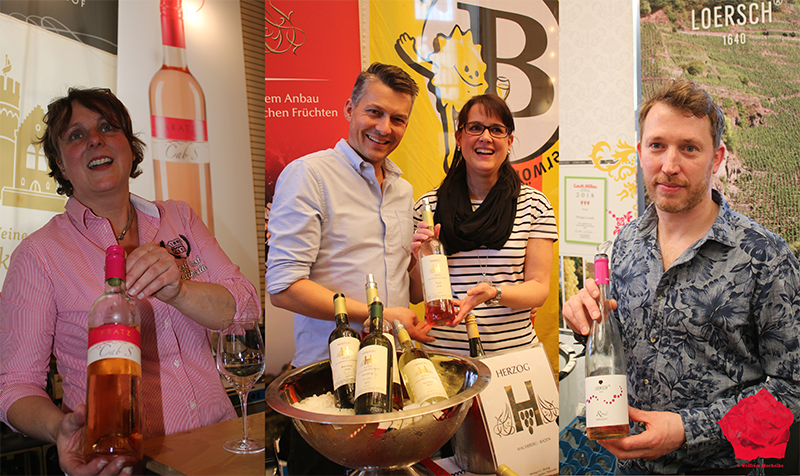 A big portion of the wines are from wineries coming from th Moselle (Mosel), Palatinate (Pfalz), Rhine-Hesse (Rheinhessen). 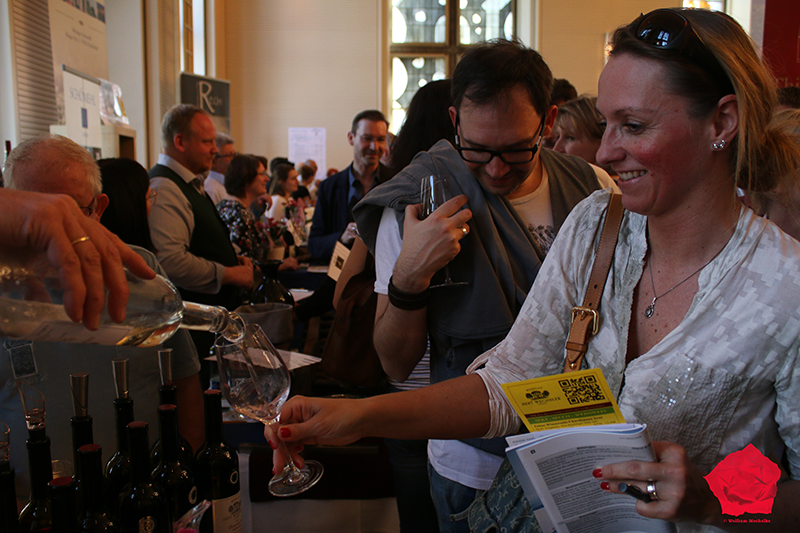 The winemakers are happy to take instant orders from the consumers. The Exibitions is open on Sunday 8.April 2018 from 12 to 6. Location: Gürzenich Köln, Martinstraße 29-37, 50667 Köln. Ticket: 13 Euro per person. You reach the Gürzenich Building in a few minutes via train 5 from the Cologne Main Station or a 12 minutes walk. We recommend public transportation. Sancerre is usually known in Germany for a fabulous white wine. And thats what the well known Domaine Joseph Mellot stands for. 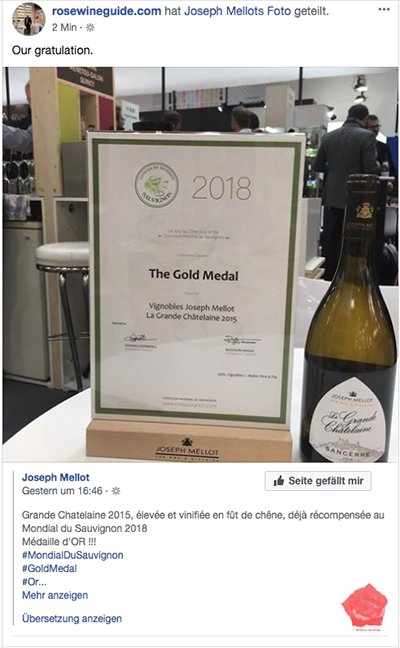 It has just won a 2018 Gold Medal for the outstanding La Grande Châtelaine 2015 by the Concours Mondial du Sauvignon. Our congratulations for this award. 500 years of winemaking is a really astonishing tradition. The historic family-owned wine estate is located in the Centre-Loire vineyards of Sancerre. It was founded in 1513. Generations of the Mellot family have refined the art of making great wine. In the 17 century César Mellot gained recognition as wine advisor to King Louis XIV known for his long reign and his lavish style at Versailles. The Mellot family followed the career of vigneron (grape owner and winemaker) as well as wine merchants. It the 1800s the family had her own Inn at Sancerre and in 1881 was granted a licence to sell it wines troughout France and abroad. 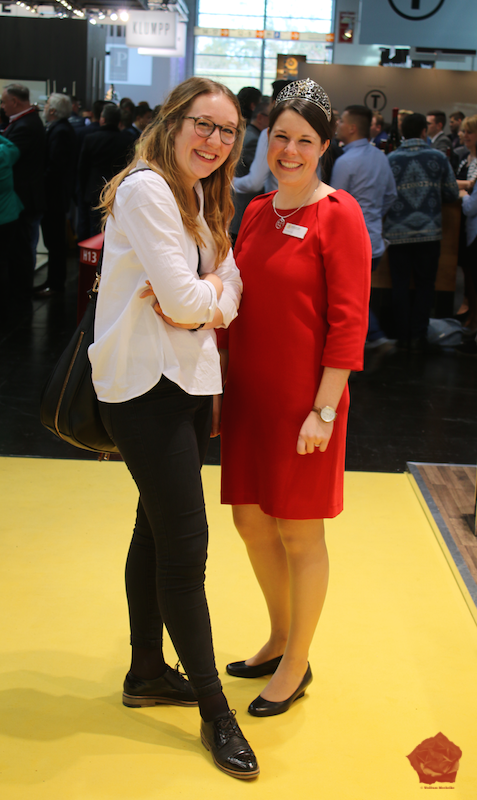 In this tradition Mrs. Catherine Corbeau Mellot traveled as President of the Domaine Joseph Mellot to PROWEIN as an ambassador for the Grands Vins of Centre Loire region. Mrs. Mellot runs a 100 hectare company with various vineyards at several locations. Since 2002 the winery “Le Sentier du Vin” was established to receive the grapes harvested in Quincy and Reuily. Menetou-salon, Côteaux de Giennois and Châteumeillant add to the diversity of the portfolio. Mrs. Mellot is very active and initiated the creation of the Association of the Dames de Coeur de Loire part of the french wine women – a group of 30 women from 7 wineries with different functions. 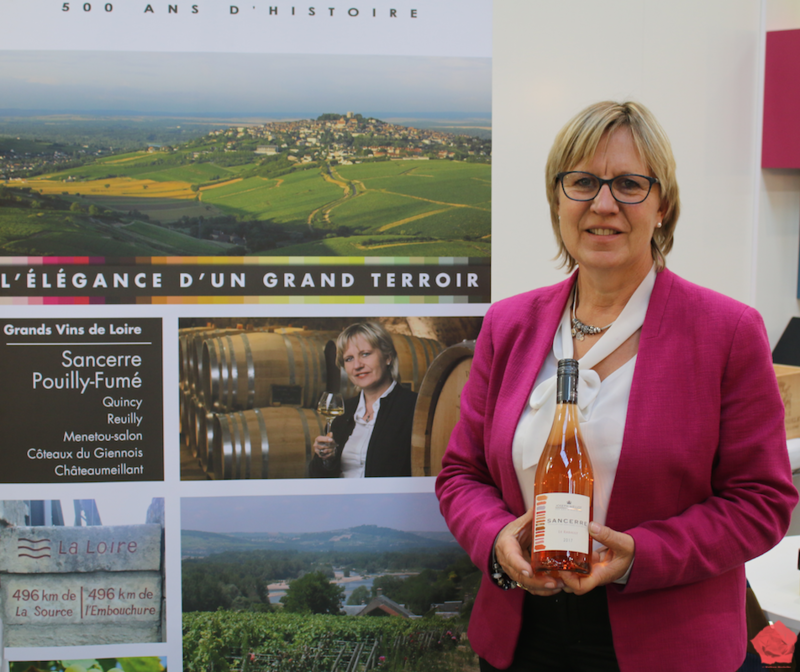 So it was a nice surprise for me to meet Mrs. Catherine Corbeau Mellot and taste her Rosé. LE RABAULT is made from Pinot Noir. Bottled in a clear Burgundy bottle it has a clear luminous salmon-pink color that is characteristic of Pinot Noir rose wines. The nose develops floral notes of rose and peony at first and the rasberry scents. There is is a fine full taste with a freshness at the end, giving it a lasting quality. This wine is pleasant because of its freshness and delicate aromas. It is a good companion for a summer evening even in cooler countries. It does not need hot climate to convince with the freshness. The winemaker suggests the wine is perfect with deli meat, white meats, exotic dishes and sweet/savory dishes. The ideal serving temperature is between 10° and 12°C. Rosé from Italy is not that common in Germany. Germans predominantly love italian red wine as they have a great taste for Pasta and Pizza. Or they go for a pinot grigio. Even in restaurants you’ll have sometimes a hard time to find a good wine especially if you ask for a Rosé. So it is a surprise to run into a nice couple who offer you not only a Rosé from Italy, but an organic Rosé from Sicily. This is quite unuasually as is the name of the winemaker – Gunther Di Giovanna, a german-italian who runs the business with his brother Klaus, now 5th generation owners of remarkable wineyards in the western part of Sicily. Altogether the current property is about 100 hectares, 56 hectares vineyards, 23 hectares of olive trees, forest and wheat fields. The vineyards are organically certified since 1997. The brothers cultivate vineyards in 4 different zones and altitudes, the oldest vineyard Gerbino was already planted by their great-grandfather Cristoforo Ciaccio in 1860 at an altitude from 420-480 meters above sea level. The other vineyards are on a higher level. 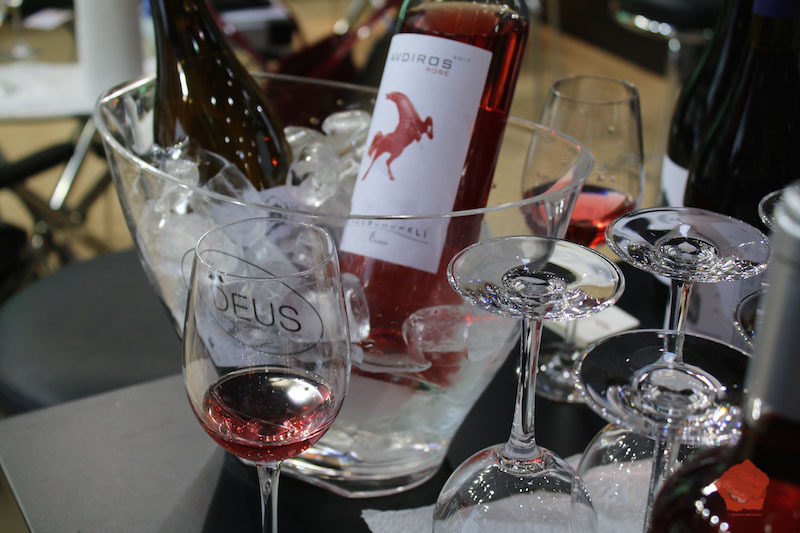 GERBINO is the brand name for the Rosé made from the native Sicilian grape Nero d’Avola kown for it’s soft and sutle character along with a juicy fruit. The Rosato is pale pink in the glass with fuscia tones, notes of rasberry and crushed cherry. It reveals scents of rose petals and reipe red barries. It’s esay, pleasant drinking as it has a soft attack, a pleasant medium acidity and over all a good balance. 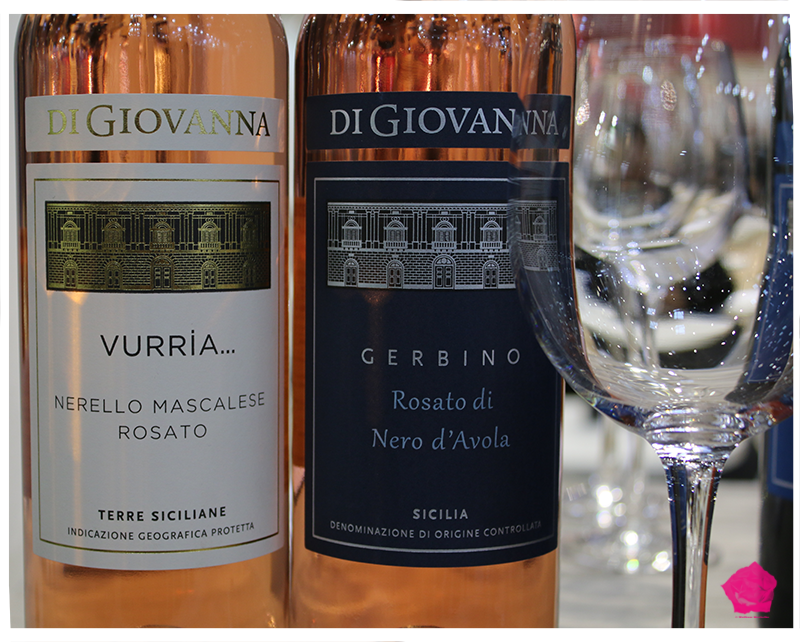 VURRIA is the brand for another Rosé made of another varietal typically sicilian. Nerello Mascalese has been planted by Aurelio Di Giovanna back in 1968 from an old vineyard near Randazzo and introduced to Sambuca die Silicia. This grape is known for it’s expressive aromatics and spice. The winemakers suggest that the wine pairs wonderfully with shellfish, grilled white fish and pork. You could even try it with sushi or asian cuisine. Even the family Di Giovanna offers Wine Tourism and invits us to visit Sicily as their wine cellar is surrounded by the beautiful nature reserve of Monte Genuardo, you do not have to travel that far to get to get a good bottle of Rosé. 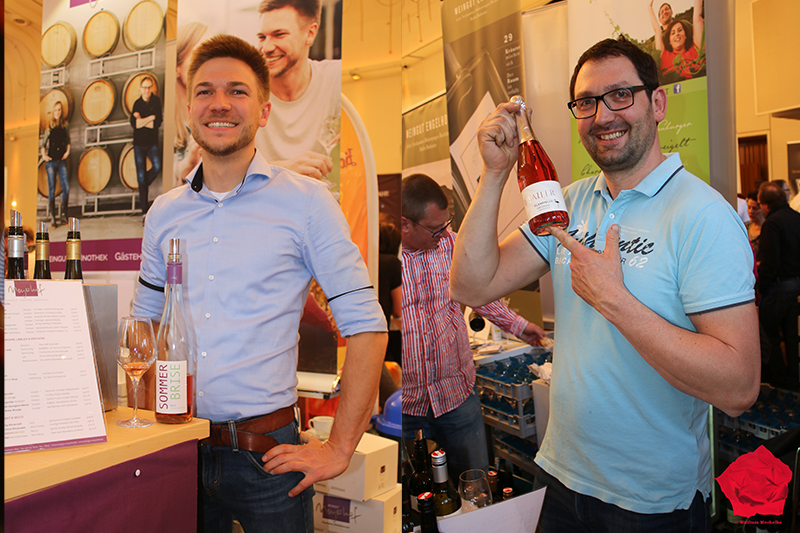 If you want to find out where to find tasty rosé wine just ask charming ladies. Yes, rosé is still a predomantly female drink, but women can teach men usually over a longer period of time, what is good taste. Some men did not eat salad for a long time… now we have more man that eat just vegetarian food and still love to drink some good wine with it. 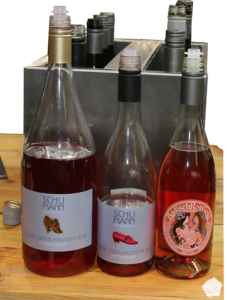 Well, Franziska Aatz and her friend persuaded us to seek a female winemaker, who has really an astonishing variety of rose wines. 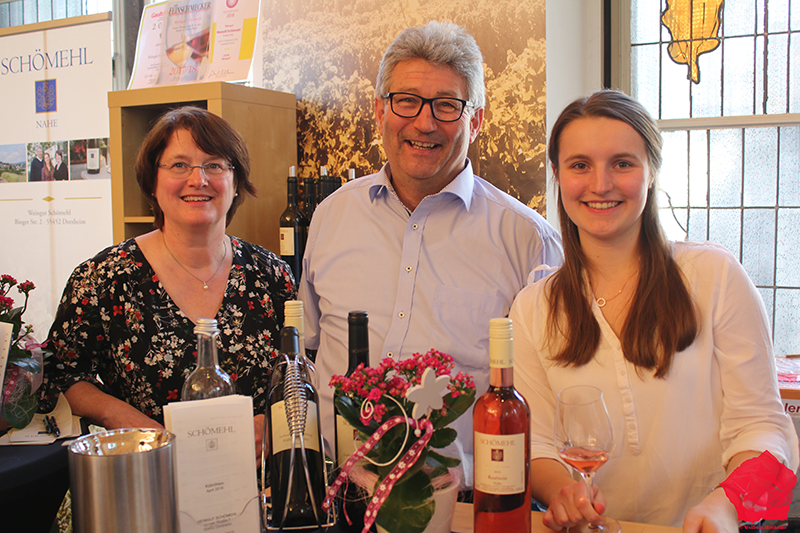 Her winery is located in the Baden region of Germany, which is in the south west and known for good quality wines, white, red or rosé. For Bettina Schumann her last name meaning literaly “men of shoes” gave inspiration for a variety of label creations and different shoes. 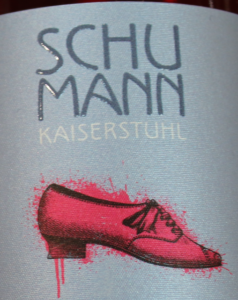 Mrs. Schumann is hooked to red shoes, as you can see on the label. Women will agree -it takes a variety of nice shoes having a nice life. And the same refers to wine. There is so much to discover. We started out with a unfiltered rose wine called PETNAT. 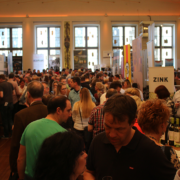 Knowing about the orange wine hype in certain restaurants in Berlin it is easy to understand why a woman from the german capital is trying to produce some raw stuff in her new region. It is only some years ago that Schumann started from scratch with only a small amount of grapes. She first had a joint-venture with her former partner selling wine, before she decided to go her own way making wine. 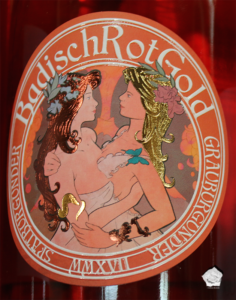 We were very pleased to taste a glass of “BadischRotGold” – Red&Gold from Baden. This is a peticular name for a wine made of white and red grapes together. And only winemakers from Baden are allowed to claim their wine this way. Those two sorts of grapes have to be harvested and put in the press together. Alike the production of rosé wine, the crushed grapes have only a short period of time before the skin is removed. Other regions of Germany have different names for this kind of wine. Finally we had a special creation Chaiselongue – the rose wine for relaxing. A special edition of reduced quantity of grapes, four days of maceration, no yeast added and finally fermented in the new barrique and filled without filtration on the MAGNUM BOTTLE. If you are from the Netherlands you can buy the rosé wine “Chaiselongue” at Wine & Roses in Van Woustraat 163 in Amsterdam for 39,95 Euro. More information you’ll find on the Bettina Schumann Website. 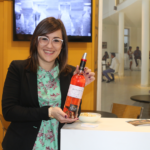 Diona BORS presented us a fairly uncomplicated good tasting easy drinking rose wine for younger clients. 6n the label is a riddle. It has to do with roman writing of numbers. If you cannnot figure it out, you can check the diona vin website for the clou: http://doinavin.md/eng/blog/6n-what-does-it-mean. Diona BORS gives this explanation for their marketing to visitor Alena Mechelke. 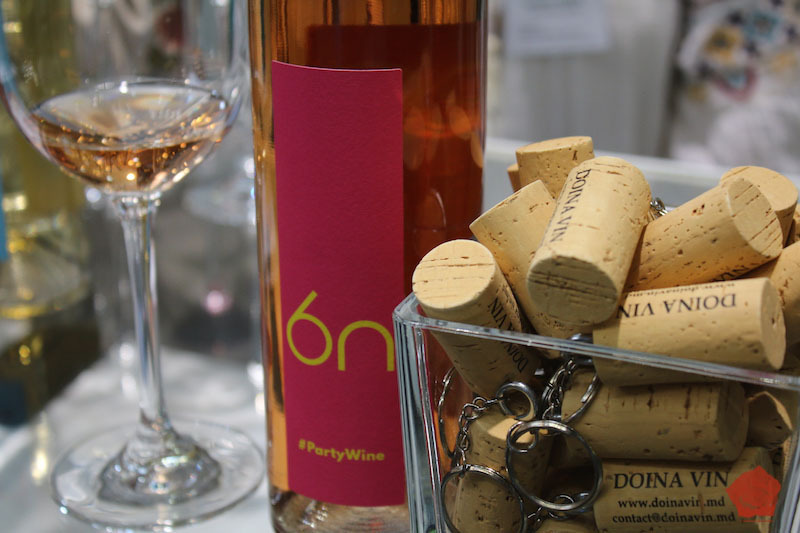 The colorful labels contain minimum of information – the brand name 6n and a hashtag, which recommends an occasion. For better differentiation between the six wines in this series, each label has a different color and recommended occasion: #VictoryWine has a violet label, #LoveWine a red label, #PartyWine a pink label, #RelaxWine a blue label, #AdventureWine an orange label and #PlayWine a yellow label. 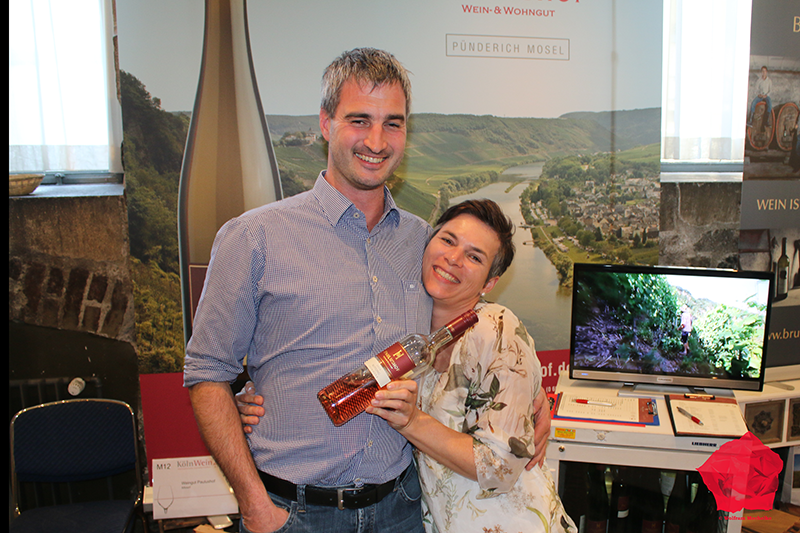 At the Prowein we met the charming winemakers from Baden which have a very tasty Pinot Noir Rosé in their cellar. 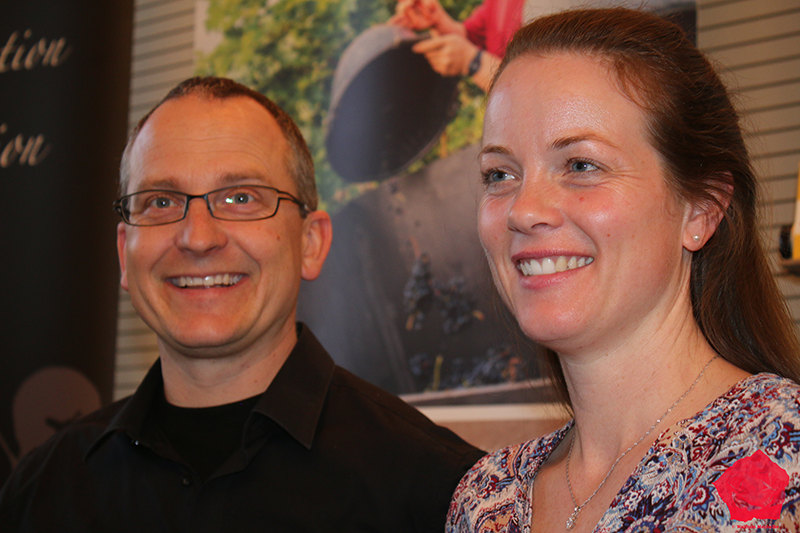 The family business is run by Kilian Hunn and his wife Martina, a trained winemaker and former Baden Wine Queen. 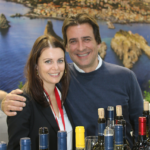 She is active in the woman-wine VINISSIMA network. Since his early days as a teenager when he started with 16 to work in the cellar and the winyards Mr. Hunn is a passionate winemaker. “Open the bottle and enjoy” is the basic credo of their passion for good taste. The vineyards are located on the Tuniberg Hill in Gottenheim. 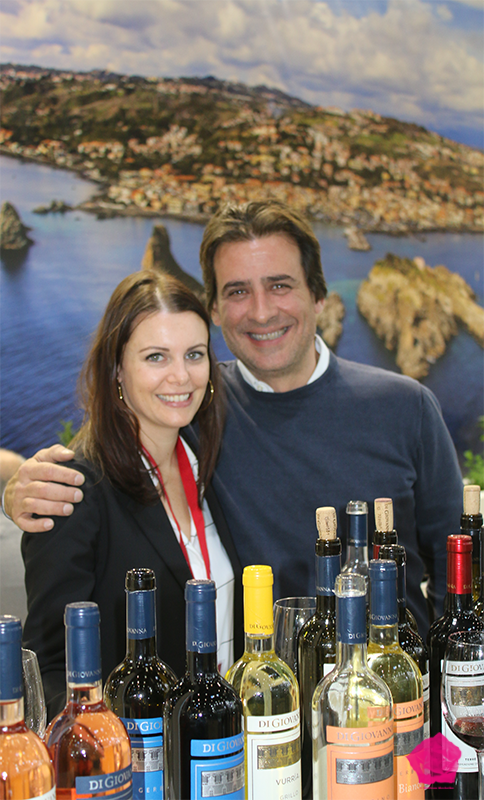 Greece this year right on the beginning of my Prowein tour in Hall 17. A surprising start with a fruity and very tasty rose wine from Greece. I like the vivid rose color. It has a rich aroma of strawberry and cherry jam, wonderfully cool flavor, with nuances of blackcurrant, in a well-structured ensemble with a long aftertaste and a surprisingly soft sense of sweetness. The cuvee is made from Pamid and Syrah grapes. Alkohol 12%. Pamid is a typical old grape variety that has been cultivated since the ancient times of the Thracians. The first time I tried this rosé was at the PROWEIN Fair in Duesseldorf. The next time I tried it again was at the PINK Festival in Cannes. 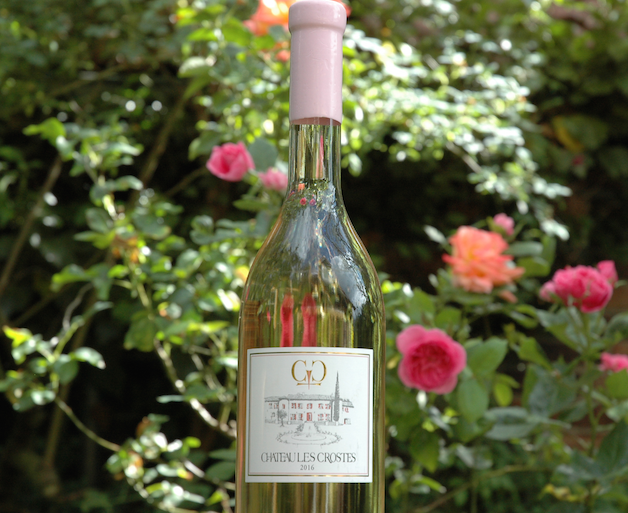 It is a fairly dry light rosé wine with the typical acidic touch of the southern French wines. It is pleasant to drink at a hot summer evening along with a nice breeze. 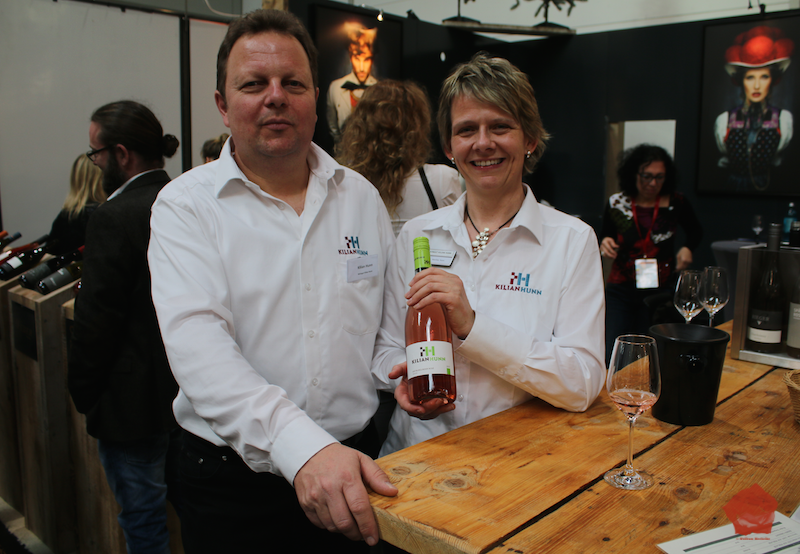 Heroldrebe Rosé is a fine dry rare wine from a award winning Winery for Bio Wines. 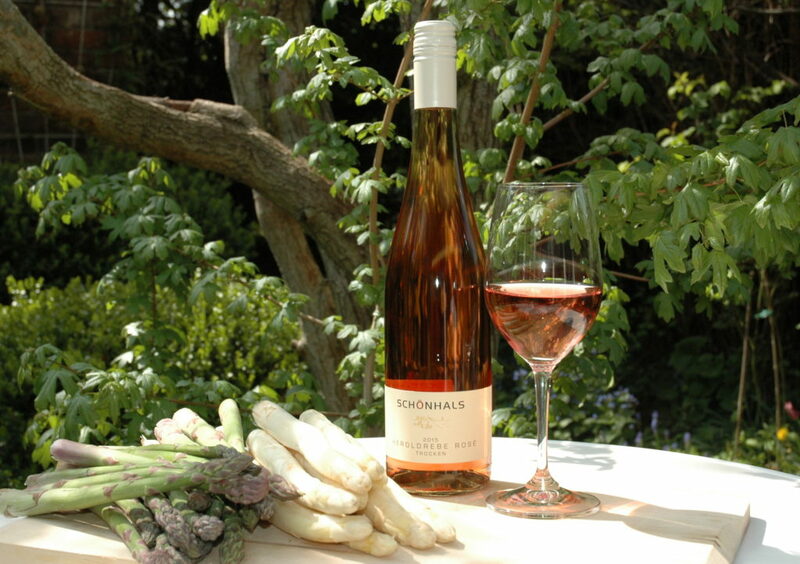 The Winery Schoenhals has won many awards for different wines. Our favorite is this wine, because the grape is planted in very small scale only in Germany. It is a wine especially who have problems with the stomach, when drinking wine. It is dry and mild altogether.